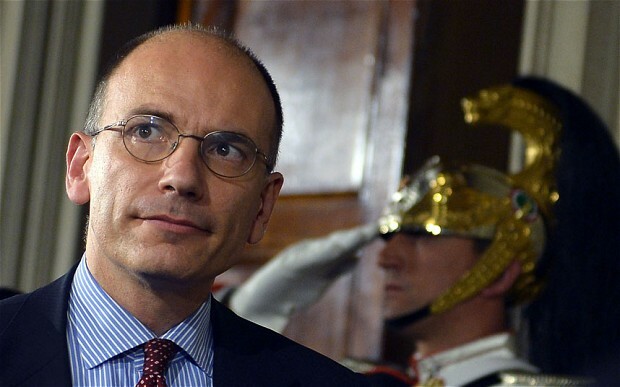 Enrico Letta, a 46-year-old career politician, whose uncle was Silvio Berlusconi's longtime chief of staff is due to become youngest Italian prime minister in a generation. Mr Letta, the former second-in-command in the centre-left Democratic Party, was summoned by President Giorgio Napolitano and given the tough task of giving Italy stable government two months after inconclusive elections produced a political stalemate. 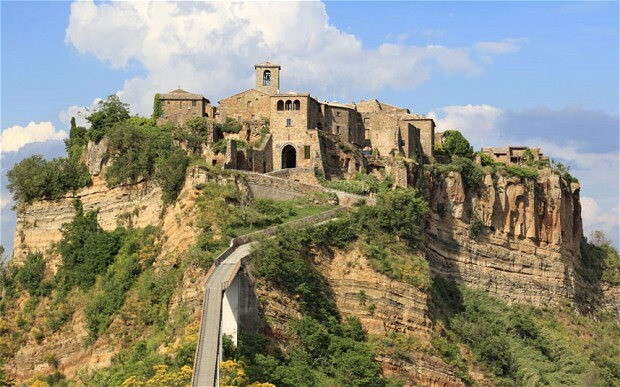 Mr Letta said after he was handed the task that he faced an enormous responsibility, adding that Italy’s politicians had lost all credibility. But he said Italy “needed answers”, as it slides deeper into its worst recession since the Second World War. If he became premier, Letta said he would strongly commit to a change of course for European policies too focused on austerity which is no longer enough". He will now seek to appoint a cabinet representing both the Centre-left and Mr Berlusconi’s Freedom People party before he faces a confidence vote in parliament. Both Mr Berlusconi and the Democratic Party have previously pledged to respect Mr Napolitano’s pick after they failed to forge a coalition government. The appointment of Mr Letta breaks with the pattern of ageing leaders running Italy. He would become the youngest prime minister since Giovanni Goria in 1987. In 1998, Mr Letta became the youngest ever minister in a government, aged 32. 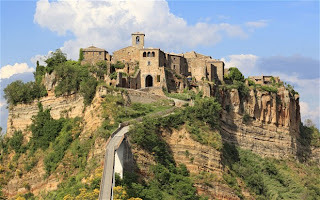 A committed Europhile and former student member of the Italian Christian Democrats, Mr Letta has served in four centre-left governments, and was appointed deputy leader of the Democratic Party in 2009. He effectively became the most senior member of the party after leader Pier Luigi Bersani announced his resignation at the weekend when the party split over choosing a new Italian president. Mr Letta has been criticised as “anodyne”, but regards himself as “post-ideological”, telling an interviewer in 2007,"My generation did not live through certain illusions and has therefore avoided the period of disillusionment". A fan of Dire Straits and a keen Subbuteo player, Mr Letta has said he grew up admiring Italian comic hero "Dylan Dog" – a detective who specialises in the paranormal. Born in Pisa, Mr Letta’s uncle is Gianni Letta, Silvio Berlusconi’s right hand man, who is known for his keen political cunning and has worked as a behind the scenes negotiator for the former prime minister, keeping back channels open with the Vatican when Berlusconi was under fire from the Church for his Bunga Bunga parties. Enrico Letta has openly opposed Mr Berlusconi’s governments, but his family ties with the Freedom People Party may be seen as an advantage as he bids to forge a coalition government, which he said was not guaranteed after his meeting with Mr Napolitano. Mr Napolitano picked Mr Letta over rival candidate Giuliano Amato, a former prime minister, effectively pulling Mr Letta from the wreckage of the Democratic Party, which split into rival factions over the election of a replacement for Mr Napolitano, pushing the 87 year old president accepting a second term on Saturday.